Christina Baker Kline is the author of instant New York Times bestseller A Piece of the World (2017), about the relationship between the artist Andrew Wyeth and the subject of his best-known painting, "Christina’s World." Kline has written six other novels — Orphan Train, Orphan Train Girl, The Way Life Should Be, Sweet Water, Bird in Hand, and Desire Lines — and written or edited five works of nonfiction. Her 2013 novel Orphan Train spent more than two years on the New York Times bestseller list, including five weeks at # 1, and was published in 40 countries. More than 100 communities and colleges have chosen it as a “One Book, One Read” selection. Kline was born in Cambridge, England, and raised there as well as in the American South and Maine. She is a graduate of Yale, Cambridge, and the University of Virginia, where she was a Henry Hoyns Fellow in Fiction Writing. She has taught fiction and nonfiction writing, poetry, English literature, literary theory, and women’s studies at Yale, NYU, and the University of Virginia, and served as Writer-in-Residence at Fordham University for four years. She is a recipient of several Geraldine R. Dodge Foundation Fellowships and Writer-in-Residence Fellowships at the Virginia Center for the Creative Arts. She is on the advisory board of Roots & Wings, a foster-care organization in NJ; The Criterion Theatre in Bar Harbor, ME; and the Montclair Animal Shelter, and supports a number of libraries and other associations. Christina Baker Kline is the author of seven novels, including, most recently, A Piece of the World, which explores the real-life relationship between the artist Andrew Wyeth and the subject of his best-known painting, Christina’s World. An instant New York Times bestseller, A Piece of the World was awarded the 2018 New England Prize for Fiction, the 2018 Maine Literary Award, and a Silver Nautilus Award. 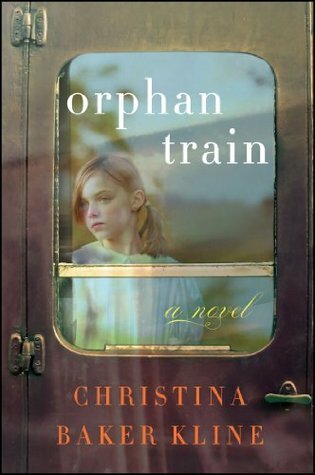 Kline’s 2013 novel Orphan Train spent more than two years on the NYT bestseller list, including five weeks at #1, and was published in 40 countries. Hundreds of communities, schools, and universities have chosen it as a “One Book, One Read” selection. Kline lives in New York City and in Southwest Harbor, Maine. The Added Scene: "Vivian's Choice"